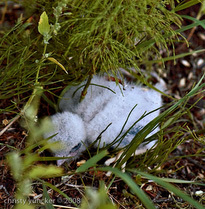 In the summer of 2008, kestrels made a nest in a witch's broom, forty feet up in a white spruce. On July 2, a great-horned owl attacked the nest (see owl family gallery). 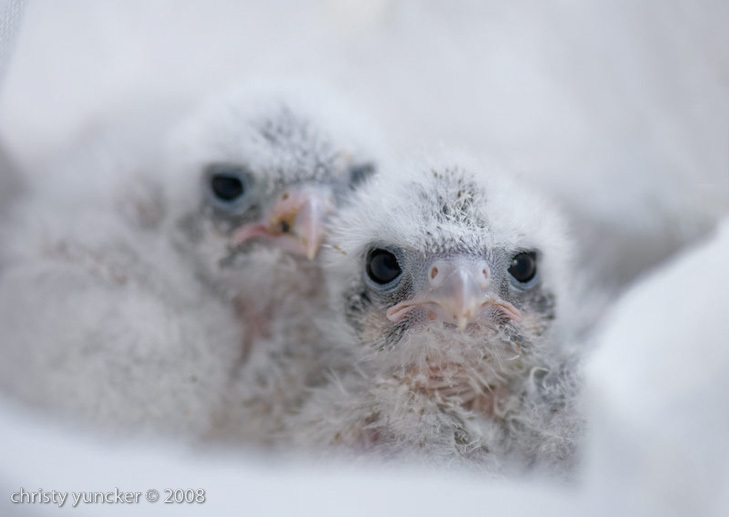 Two days later, two kestrel chicks fell to the ground (frames 1 & 2), leaving only one sibling in the nest. 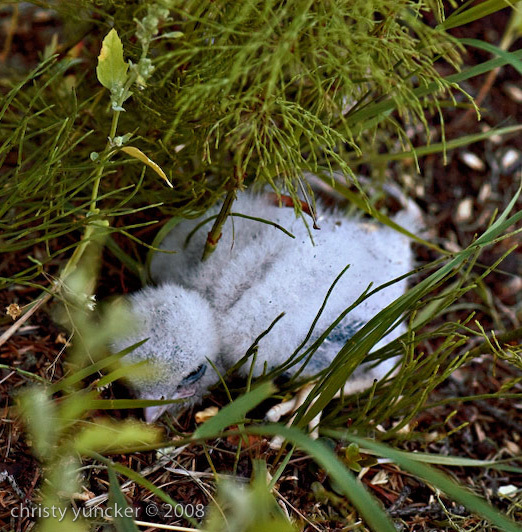 We weren't able to return the tiny birds to the inaccessible nest. 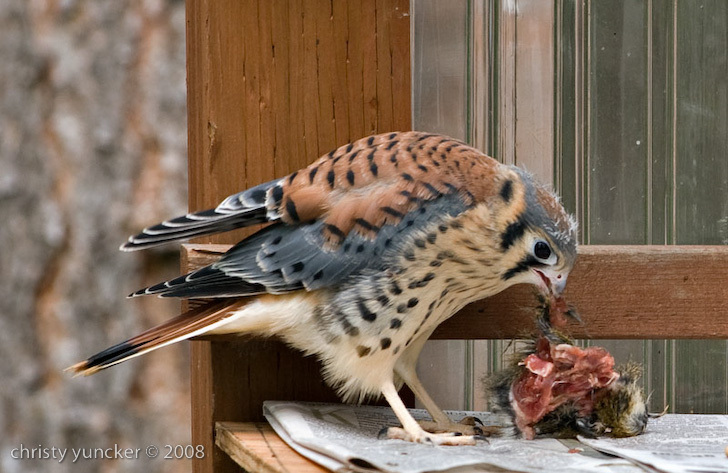 After contacting the local raptor rehab person, we fed them mice, crickets, dragonflies, and squirrel (road kill). 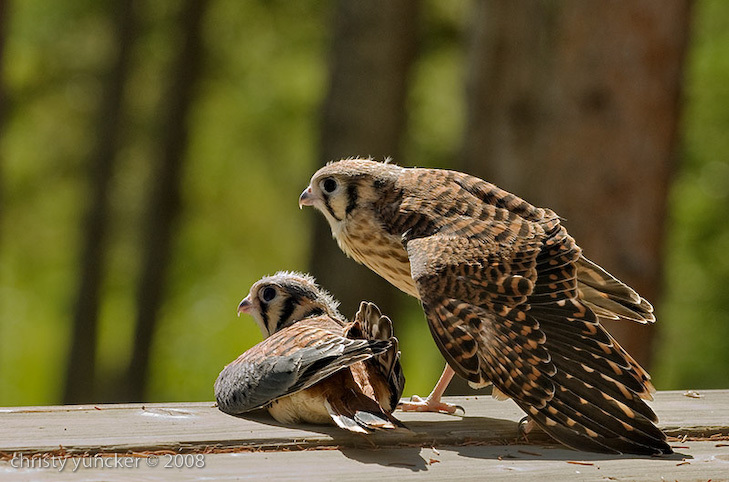 The male (Peep) and female (Poop) took flight on July 24, flying from tree to tree. 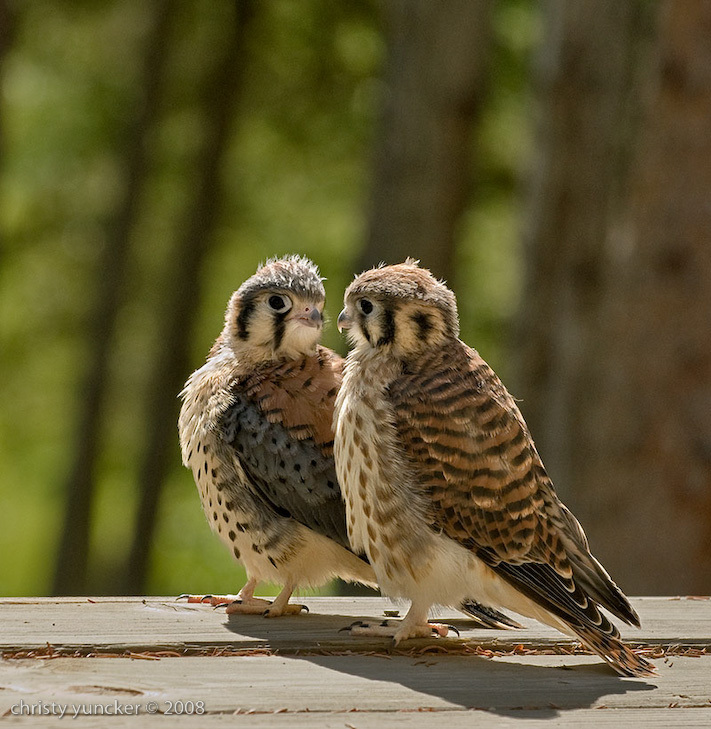 It wasn't long before they were joined by the remaining sibling whom we named Ford. 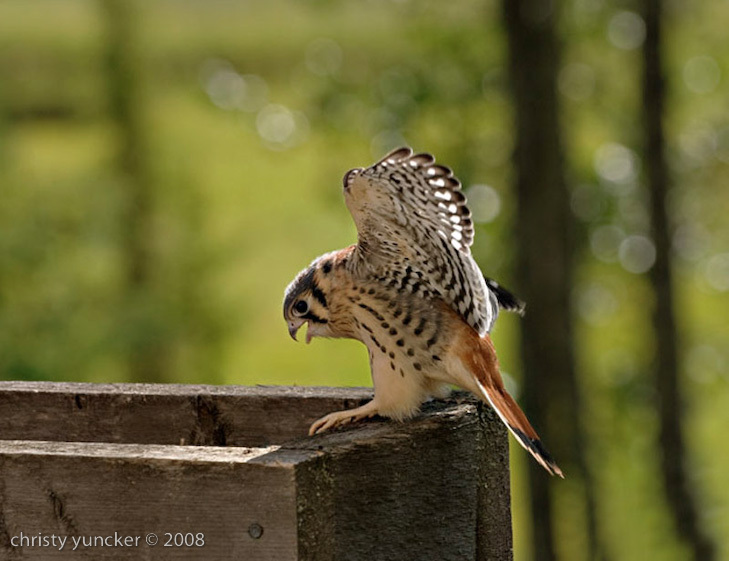 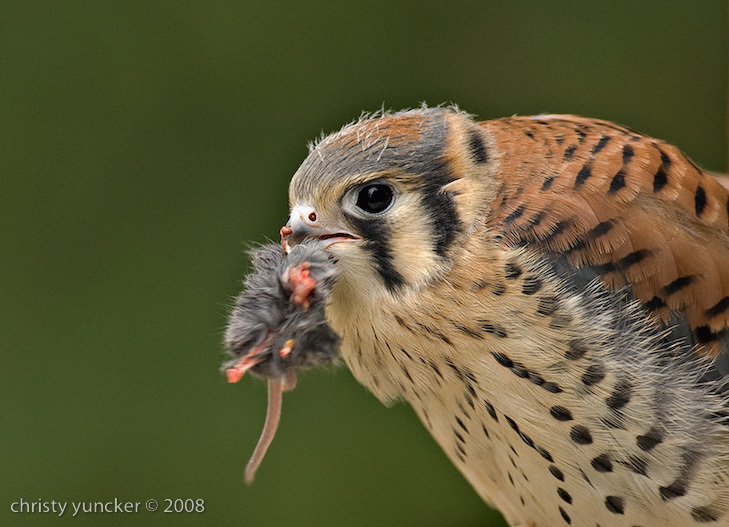 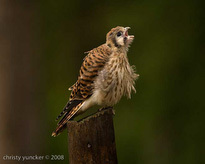 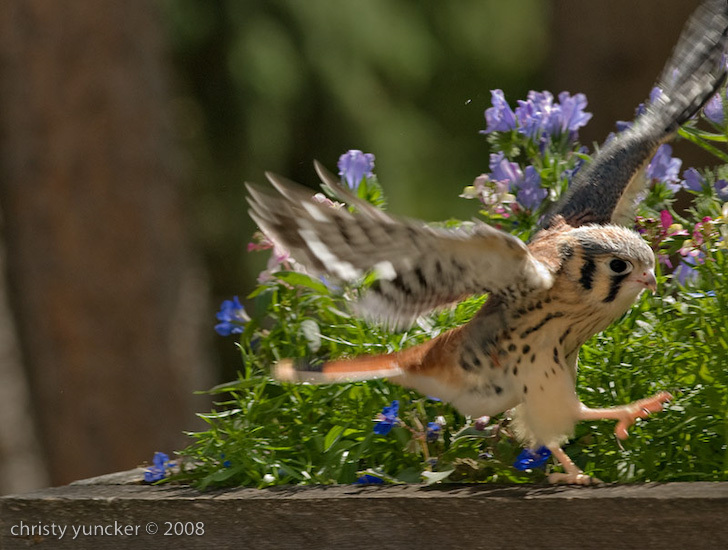 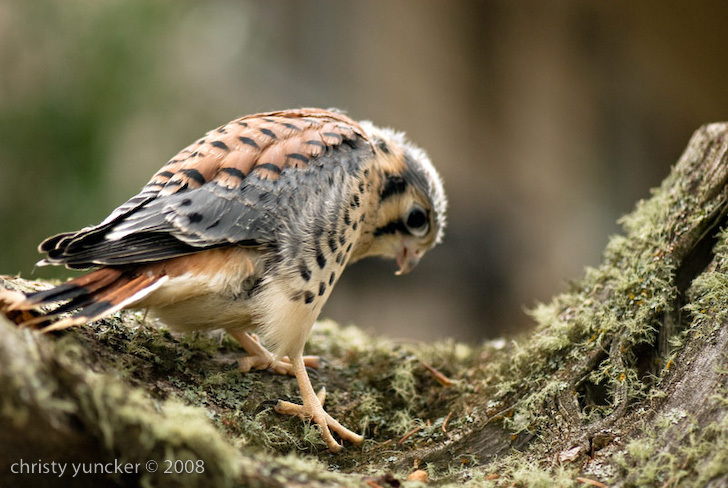 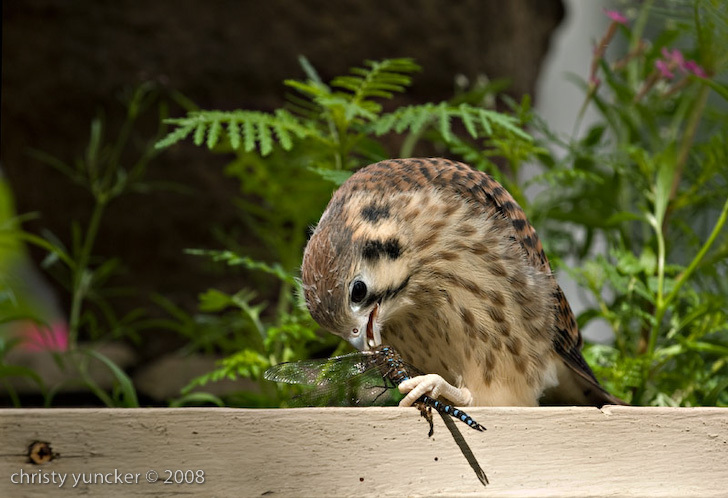 In the wild, parents are seen feeding young kestrels for up to 3 weeks after fledging. 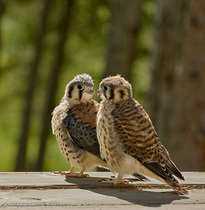 In our case, after 2.5 weeks the three young falcons stopped coming to the deck for supplementary food.